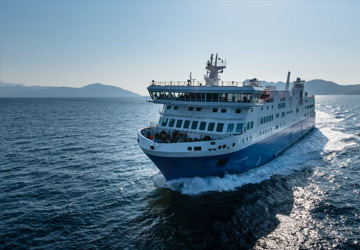 The Alonissos Volos ferry route connects Sporades Islands with Greece and is currently operated by 3 ferry companies. 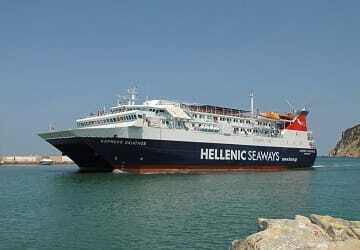 Hellenic Seaways operate their crossing up to 14 times per week, Anes Ferries 4 times per week & the Aegean Flying Dolphins service is available up to 10 times per week. 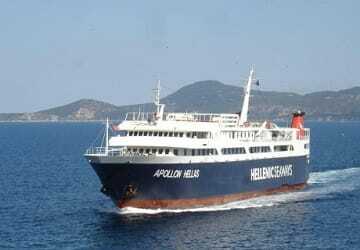 There are a combined 28 sailings available per week on the Alonissos Volos crossing between Sporades Islands and Greece and with 3 ferry companies on offer it is advisable to compare all to make sure you get the best fare at the time that you want to travel. Prices shown represent the average one way price paid by our customers. The most common booking on the Alonissos Volos route is a car and 2 passengers. Forming one of the Northern Sporades group of islands, the Greek island of Alonnisos lies in the Aegean Sea. The other islands in the Northern Sporades are Skiathos and Skopelos. The island's main village, also called Alonnisos, is located in the southern part of the island and is known locally as Chora. The bay at the southern end of the island is also called Alonnisos. The island's emblem is the Mediterranean Seal which is a protected species. This protection was the reason for Greece's first national Marine Park to be founded on the island. The Marine Park not only focuses on the protection of the Mediterranean Seal, but is also concerned with the research, rescue and care of the seal and other mammals. The island's main port is called Patitiri and is located on the south east coast. 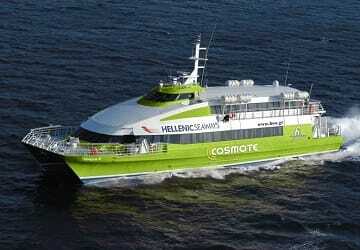 From the port, ferry and hydrofoil services depart to Volos, Agios Konstantinos and Thessaloniki on the mainland. 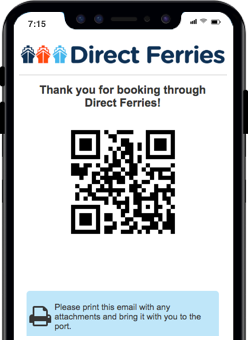 Services also depart to the islands of Skiathos, Skopelos and Skyros. The Greek city of Volos is quite a new city, by Greek standards, although ruins found within the city and surrounding area date back to the earliest inhabited days of the Balkan Peninsular. The modern city of Volos was founded in the 19th century but much of it was destroyed by an earthquake that struck in 1955. As a consequence, most of the buildings in the city today were built after 1955. The waterfront area of Volos has a number of restaurants, cafes and bars and is a popular place with locals and tourists alike. A popular attraction in the city is the Volos Archaeological Museum which contains artefacts that back as far as the Bronze Age. Also in the city is the Municipal Museum in the town hall which contains the work of modern Greek artists and St. Constantine Church which is a beautiful 20thj century building located at the end of the promenade. There are also two archaeological sites not far outside the city that have Mycenean era ruins. Dimini is the smaller but better developed and Sesklo is larger and offers beautiful views but has not been excavated fully.